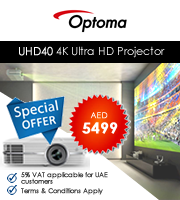 Looking for reputed dealers for Optoma Projectors who will ship all throughout the Middle East including places like Dubai, Abu Dhabi, UAE, Kuwait, Jeddah, Riyadh, Saudi Arabia, Muscat, Oman, Doha, and Qatar? Then you have arrived just at the right place. Our online site, Projector Square has the best Optoma Projectors for you. Why Is An Optoma Projector Better Option? With the rise of new technology all around us, the creators of Optoma Projectors have left no stones unturned for their customers’ ultimate satisfaction. 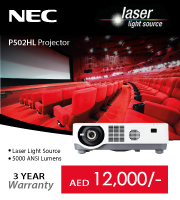 Unbelievably reasonable prices, friendly user interfaces and stylish looks, the Optoma Projectors have got it all to be of the worth of your investment. Buy only from us as our online site only supplies original products. If you own an abode in Dubai, Abu Dhabi, UAE, Kuwait, Jeddah, Riyadh, Saudi Arabia, Muscat, Oman, Doha, and Qatar, we will ship our items to your address. To buy, write to us info@projectsquare.com or you can also give us a call at our customer care number +971 4 4327846 during the working hours.